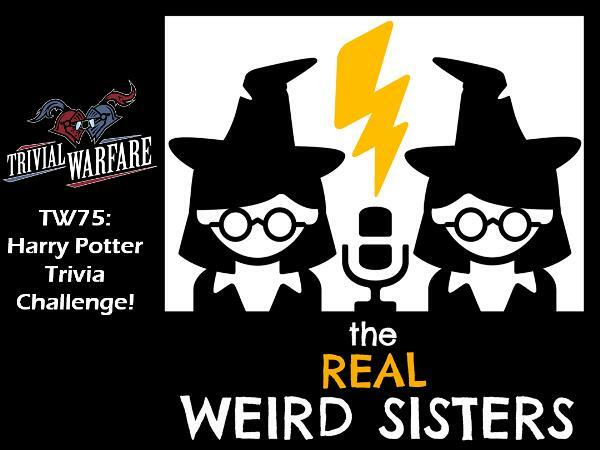 We are thrilled to be joined this week by The Real Weird Sisters for a Harry Potter Trivia Challenge episode! Alice and Martha are legitimate Harry Potter experts and you can find them at http://www.realweirdsisters.com/. This week we pair up Chris and Carmela on team RavenPuff and pit them against team SlytherDor made up of Daniel and Jennifer Richardson and team GriffinClaw made up of Alice and Martha. Can the experts hold their ground or will one of our house teams pull off the upset? Enjoy! Support us by taking advantage of our deal with our sponsor Audible at www.audibletrial.com/TWA! By the way, if you're not a member of our Facebook Group at https://www.facebook.com/groups/TrivialWarfareArmy/ then you are really missing out!